Becoming a first-time homeowner can be a thrilling experience. Free of landlord restrictions, you can finally paint the walls whatever color you like and customize your new abode to your heart’s content. But while homeowners usually have the best intentions, some home projects can end up doing more harm than good. Here are a few projects that could cause a homeowner to damage their home inadvertently, according to the home experts at HouseLogic. In an effort to boost curb appeal, homeowners often head to home improvement stores and greenhouses. But not all landscaping efforts may pay off in the long run. Homeowners should take care to avoid the following mistakes, says HouseLogic. Training ivy to climb your house. Allowed to flourish on your home’s exterior, ivy will dig its roots beneath siding and shingles. The climbing vine enlarges tiny cracks in brick and wood, introducing entrances for moisture and insects, says Jay Markanich, a certified home inspector based in Bristow, Va. Planting trees too close together. Tree roots can be powerful, able to push through your driveway, sidewalk, or foundation. Be sure to position a tree according to its maximum height, crown size, and root spread. 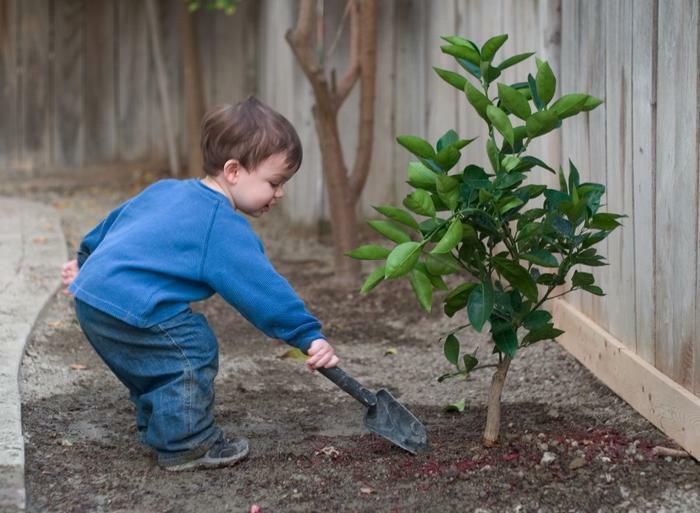 Even a small tree needs at least 6 feet of clearance for any exterior wall, according to the Arbor Day Foundation. Over-mulching. A freshly mulched garden may look great, but be sure not to overdo it. Plants covered in a mulch layer thicker than 3 inches can suffocate and become thirsty as a result of a hampered water passageway. Piling firewood outside your door. Leaving firewood outside your backdoor may allow for easy access on cold nights, but doing so can also lead to pest problems in your exterior walls. Twenty feet is a safe distance from your home to keep firewood. There’s nothing like a clean home, but relying too heavily on certain cleaning solutions may produce unwanted consequences. Bleach, for example, can eat through the sealant on stone surfaces like granite, fade enamel and acrylic tubs, and dissolve linoleum flooring. And while it may kill mold on non-porous surfaces, bleach can feed future mold grown on porous surfaces like grout. A water-and-vinegar solution is all you need for most cleaning jobs, says HouseLogic. Clogged sink or tub? Don’t rely on chemical drain cleaners, which have pipe-eroding active ingredients like hydrochloric acid and sulfuric acid. Instead, use a plunger, a drain snake, or a $2 product called a Zip-It. Shining up glass and windows by spraying glass cleaner can lead to “black edge,” which is when a liquid gets under the reflective backing and lifts it. Lint-free microfiber cloths dampened with warm water are better for cleaning mirrors.